Something Quick for Summer: Figs and Peaches and Tomatoes, Oh My! It’s now the tail end of summer. It’s dark now at 5:30am. Pretty soon I’ll have to wear my reflective running belt again. I’m not ready for that yet! 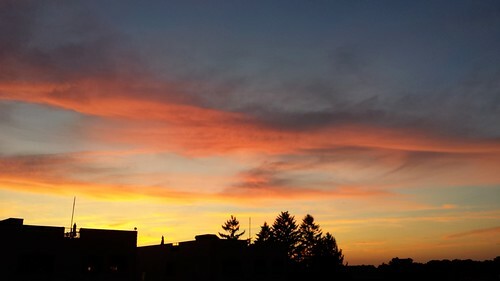 With the summer quickly wrapping up, I’ve been out and about enjoying the ability to leave the house sans jacket/coat/scarf/gloves/hat and frolic about in the sun without a care in the world. So, a couple of quick thoughts from my adventures and food ideas that give you ample time to not be indoors. 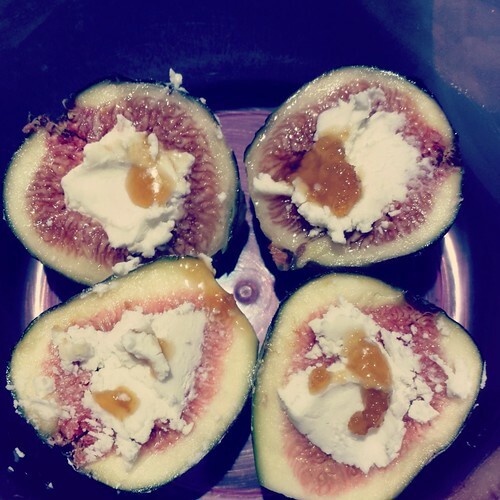 Figs and Goat Cheese snacks: Take some fresh figs and cut them in half, lengthwise. Stuff the centers with some goat cheese and drizzle a little honey if you wish. Pack them up and enjoy them at work. It’s so fancy, but so easy to prep. Best 3 o’clock snack ever. 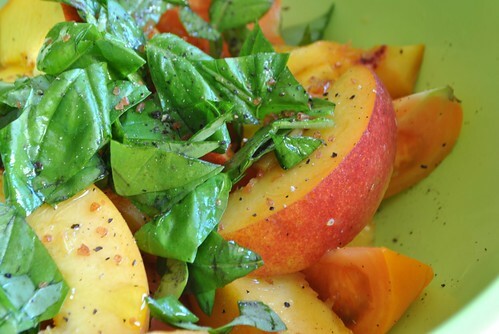 Tomato Peach Basil Salad: Cut up an heirloom tomato into wedges, cut up a couple of peaches into wedges (after de-pitting them, of course). Throw them in a bowl along with a good handful of fresh basil leaves and maybe a few strips of red onion. Drizzle some olive oil, top with some fresh ground black pepper and sea salt. Total deliciousness. 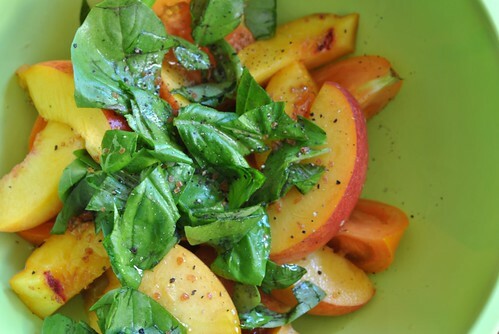 There’s something about peaches and basil that is just amazing. Who knew? Speed dating is overwhelming and exhausting. I gave it a go recently, and for whatever reason, the organizers thought a small confined space with terrible acoustics would be a great place to host an event where there would be 40 people talking at once. I like my personal space, and generally don’t like it when people toe that line. Well, in order to just hear, I was literally cheek to cheek with guys I just met, screaming into their ear while trying to be polite and somewhat cute. So much for personal space…and so much for being cute. Nevertheless it was a fun experience…would I do it again? Probably not….although it was fun seeing how differently 20 guys reacted when I told them I was a Mechanical Engineer. A few were impressed and a few were a bit surprised and kept telling me that there are no girl Mechanical Engineers. Well thanks man…because I had no idea. Bourbon Spiked Whipped Cream: Take heavy whipping cream and into the cold bowl of a mixer it goes. Whip until soft peaks form. Add a little sugar for sweetness, then add some bourbon. You can add as much as you would like for taste (between a teaspoon and table spoon). Or you can do like I did and go to add a teaspoon, but then lose control of the bottle and spill a bunch more into the bowl. Whip until medium peaks form. 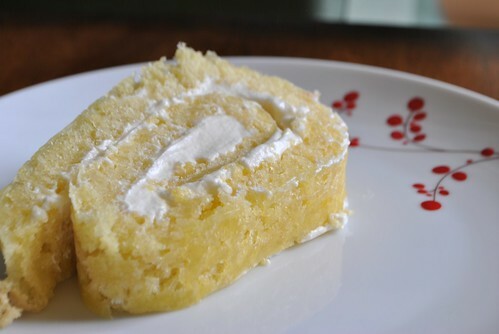 Use on top of dessert or in a sponge cake roll! This entry was posted in cheese, CrossFit, Fruit, Salad and tagged Crossfit, Figs, goat cheese, mechanical engineer, Peach, speed dating, tomato. Bookmark the permalink.